Held at Brooklyn Bowl in July of 2015, Hoodies for the Homeless 2 sold out the venue and received over 2,500 donations of hoodies, blankets, scarves and gloves. Owned the stage and the night with friend David Correy, (from X-Factor) who joined them onstage for a couple of tunes. Drew a huge crowd and did not disappoint, playing an amazing set to close the night. We partnered up with NYC-based climbing facility and community organization Brooklyn Boulders to put on a members event at their newest location in Long Island City. 250+ hoodies were collected and distributed via the Coalition for the Homeless. In the spring of 2016, PushMethod commissioned some of they city's biggest street, tattoo, and fine artists to design mannequins meant to represent the over 60,000 souls sleeping in New York City’s shelters. The result was a collection of 18 amazing and incredibly unique pieces of art. 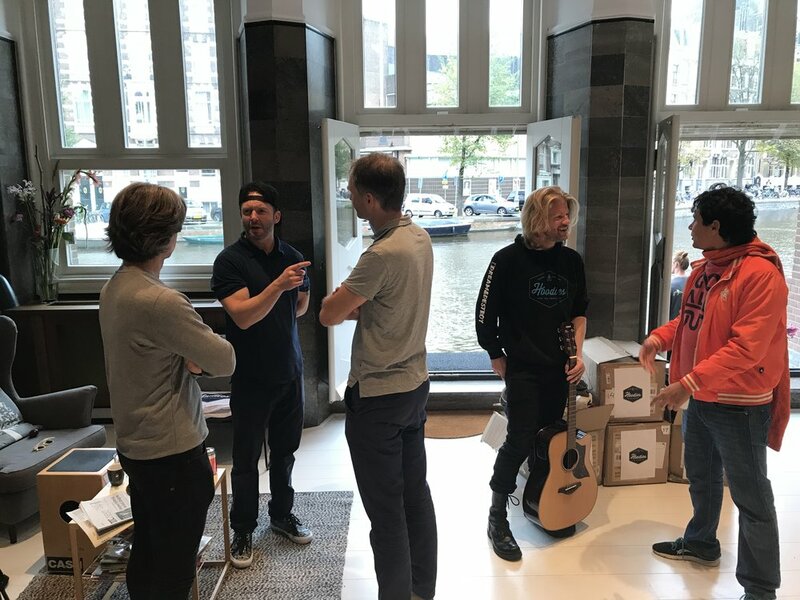 At the same time, PushMethod was in the midst of planning their fourth Hoodies for the Homeless event, set to take place on May 26 at the iconic Bowery Ballroom on Manhattan’s Lower East Side. They began an all-out assault on social media, promoting the Mannequin Project and the Hoodies show in tandem. There was an overwhelming response, with content being posted, shared, and seen by thousands across multiple platforms. The attention earned PushMethod and the movement the front cover and featured story in the NY Metro. Over 400 tickets were sold for the Bowery Ballroom show. The mannequins lined the perimeter of the ballroom while fans filled the floor to see PushMethod and friends Pants Velour do what they do best - rock the house. Immediately following the performances, band members and fans marched down the Bowery carrying bags of the over 1,500 hoodies collected that night, and delivered them directly to the doors of the Bowery Mission. In the fall of 2016 we did our first event outside of New York City in partnership with Arnold Worldwide in Boston. PushMethod performed at an office party and collected 250+ hoodies that went to a local shelter, Pine St Inn..
On December 11, in a partnership with the NY Giants, Hoodies for the Homeless was given the opportunity to set up collection stations in cooperation with NY Cares, at the biggest game of the year - NY Giants v. Dallas Cowboys. Rotating promo spots on CBS Radio and ESPN encouraged an incredible outpouring of support from fans, with donations reaching the five-figure mark. PushMethod slid around the stage in a blizzard, performing for fans in the Bud Light Party Plaza while the jumbotrons above declared the day “NY Cares/Hoodies for the Homeless Day”. 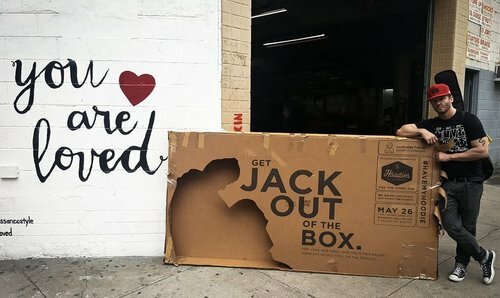 Hoodies for the Homeless hosted its fifth large-scale event in February 2017, i n a huge open space in Tribeca donated by Hines, one of the world’s largest and most respected real estate organizations. Partnering with Mass Appeal and Havas Media, they presented a night of music, fashion, and art to kick off NY Fashion Week. Art Battle murals covered the walls, The Mannequin Project mannequins occupied the floor, and the space was transformed into a venue for the hundreds of people who came out to show their support. Performances by PushMethod, DJ Holtie, Scram Jones, and special guest performance by Pro Era’s Kirk Knight and Nyck Caution. In the fall of 2017 we embarked on our first ever Hoodies for the Homeless tour, hosting events in cities across the U.S. and Europe. PushMethod teamed up with artists from each city and fans came out armed with hoodies to show their support, or, as we say, do their part AND party. 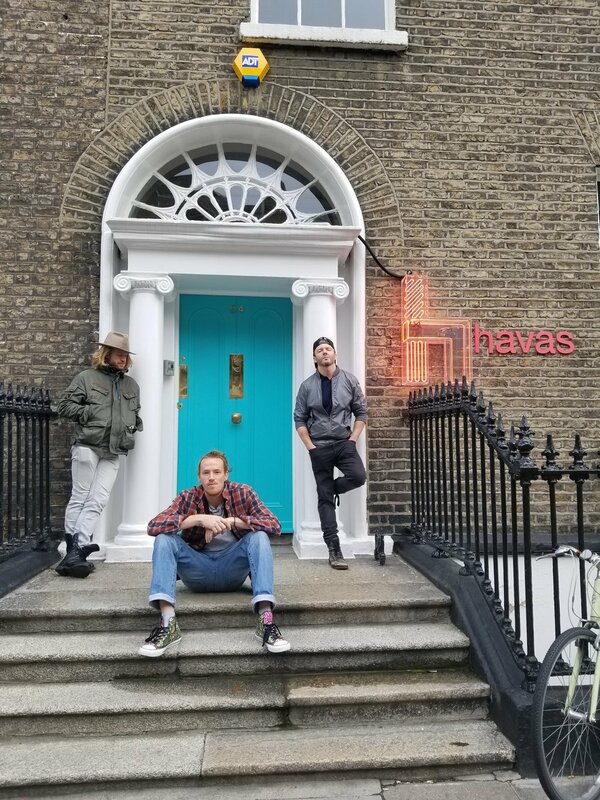 Through partnership with global media agency Havas and local organizations, we were able to leave a footprint in new communities and build a foundation for the future of this movement outside of its NYC birthplace. 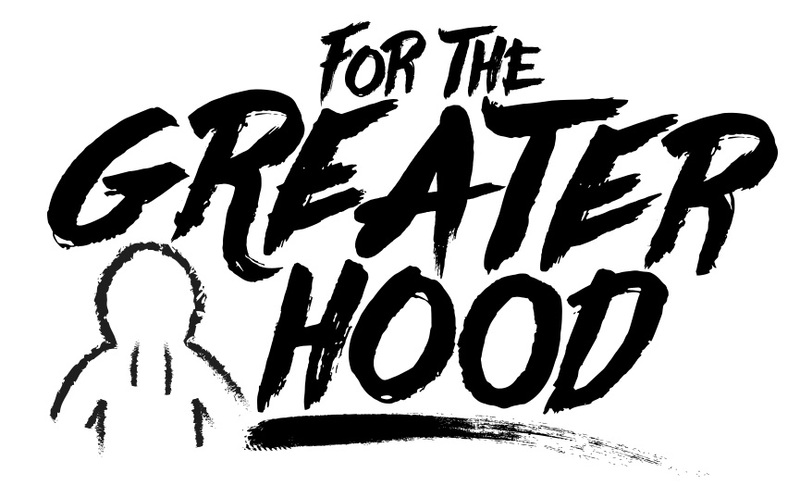 In partnership with Leijas, a purpose-driven agency for purpose-driven brands, Hoodies for the Homeless launched For The Greater Hood, a campaign to dedicate the entire month of December to raising awareness and donations for the homeless. Thanks to the Giants organization, Hoodies returned to MetLife Stadium for the 2nd Annual NY Cares/Hoodies for the Homeless Day . Collection points were set up with NY Cares at each of the stadium entrances while the Hoodies crew took to the tailgate with donation carts, as the NY Giants faced off against the Dallas Cowboys. An empty storefront (donated by Hines) was transformed into For The Greater Hood, a “true store experience” where shelter residents could come to shop for free for the holidays. The space was designed and decorated to look like any other pop-up store in Tribeca, the difference was the merchandise had no price tags. 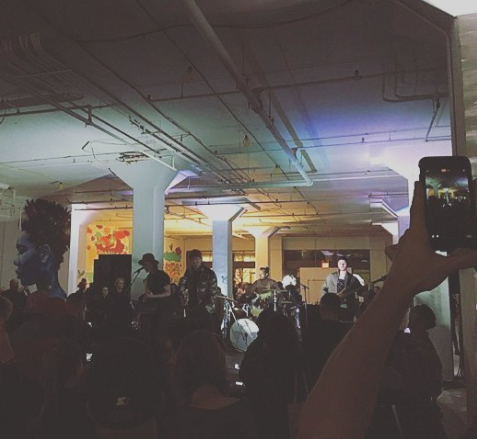 The store was stocked with donated hoodies, sneakers, gloves, backpacks, toiletry bags, water, and more, and featured live art by Jamel Robinson and buzzcuts by Mark Bustos. Invitations were extended to individuals and families currently living in NYC shelters, in coordination with CitiLeaf Housing, the Urban Resource Institute, and the Coalition for the Homeless. On December 13, 2017 we partnered with Reef Point Yoga to host an event called "cold yoga" in the plaza at CityLine DFW. Inspired by the idea that hosting a class outdoor in the winter would inspire compassion for those in the streets, we collected over 200 hoodies that went straight to The Stewpot, a local homeless services provider in downtown Dallas.